This strategy can only be used along the time tracking strategy. Time targets are all about setting daily goals for yourself to meet. So let's say every day you want to spend at least 90min on marketing your business or every Monday, Wednesday and Friday you want to spend at least 60 min doing something for your health. 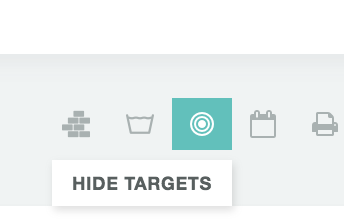 Targets can be set for any category or project and even per label ("add label target"). Targets can be deleted or changed anytime. To delete a target hover over the row and click the trash icon that appears on the right. As you track time on tasks the progress bar goes up.